Our experienced staff can help you determine whether you have a mental illness, such as depression, A.D.D., post-traumatic stress disorder, anxiety, etc. and provide you with the ongoing care and counseling you may need. We have highly trained staff who can help you figure out whether or not your alcohol or drug use is only abuse or an actual addiction and then provide you with recommendations to keep you healthy and well. 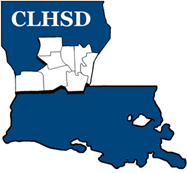 Developmental disability support and services are available through CLHSD for those with developmental disabilities, as defined by Louisiana state law. We provide mental health and addiction-related counseling and treatment for adults, children and adolescents in 8 Louisiana Parishes. Call or email us today to book an appointment for diagnosis, therapy and/or treatment. Serving Avoyelles, Catahoula, Concordia, Grant, LaSalle, Rapides, Vernon and Winn parishes.